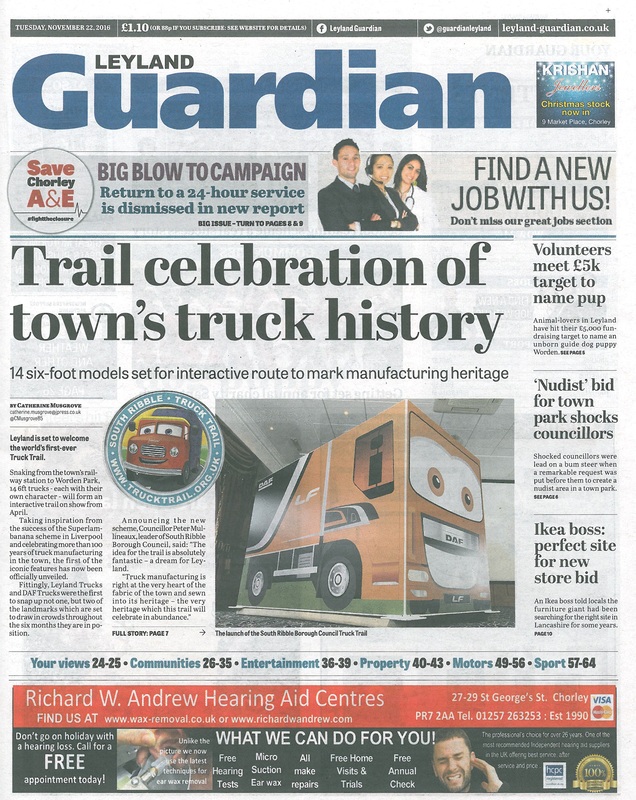 LEYLAND is set to welcome the world’s first-ever Truck Trail. Snaking from the town’s railway station to the award-winning Worden Park – 13 6ft trucks, each with their own character and personality, will go on show from April. Taking inspiration from the success of the Superlambanana scheme in Liverpool and celebrating more than 100 years of truck manufacturing in the town, the first of the iconic features has now been officially unveiled. And, fittingly, Leyland Trucks and DAF Trucks were the first to snap up not one, but two of the landmarks which are set to draw in crowds throughout the six months they are in position. It will be unveiled in front of the crowds at the Leyland Festival in June and will be given to the school to keep after the trail finishes in September. Helen Heggie, Director of STEMfirst, said: “The UK STEM skills shortage means it is imperative that employers and education work together to inspire the next generation, helping young people see STEM as a job for them and developing the key skills that employers will require from their future workforce. 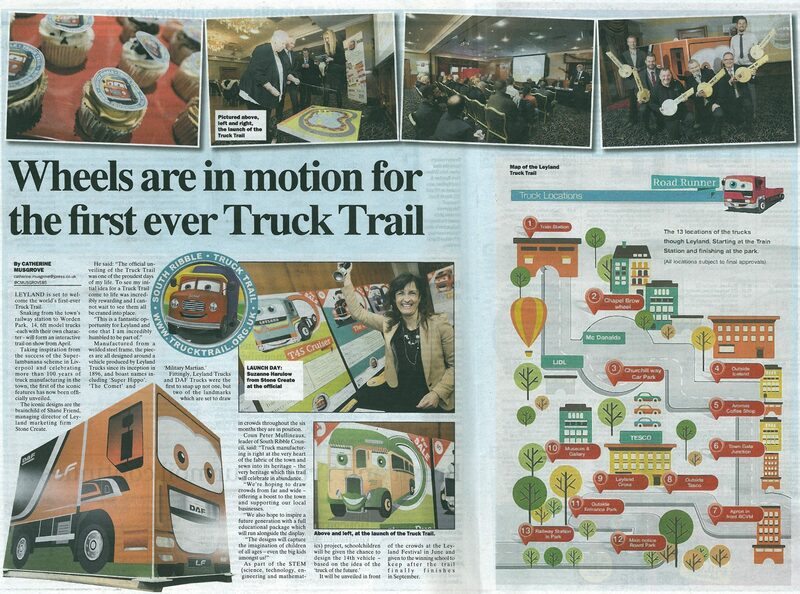 “Truck Trail is a perfect vehicle for schools, employers, young people and their carers to get involved. This is an incredible opportunity for local employers to inform, inspire and educate the next generation about the career opportunities, skills requirements and businesses on their doorsteps. 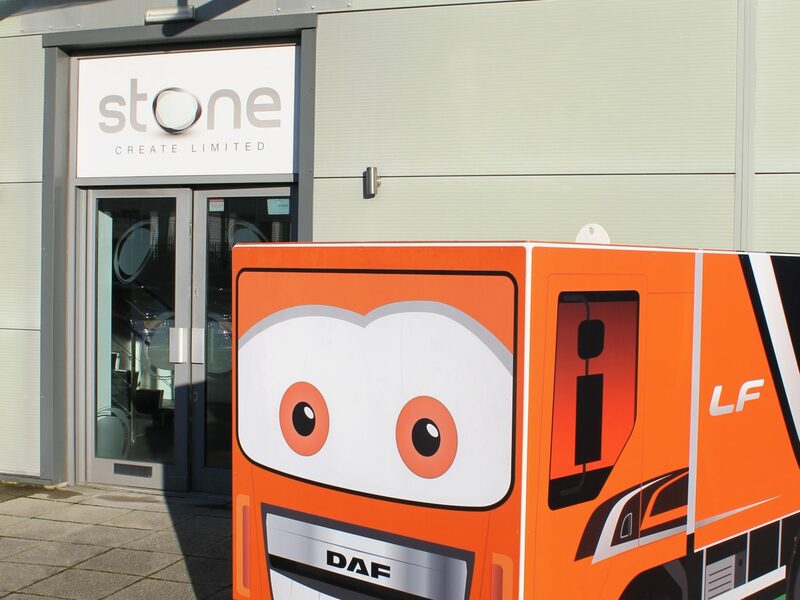 The iconic designs are the brainchild of Shane Friend, Managing Director of Leyland marketing firm Stone Create. The scheme is self-funding with each truck being sponsored by a local business which will get their brand advertised within the design. 11 of the 13 have already been reserved. Other companies to sponsor trucks include BAXI, Wrennalls, Hallmark Hotel Leyland, Tranzparts, J & J Ashcrofts and Runshaw College, C & W Berry, Leyland Forum. Ivan Shearer, HR Director at Leyland Trucks, said: “Leyland Trucks and DAF Trucks UK are proud to sponsor this exciting local community project.